Aldy Milliken, Executive Director and Chief Curator of KMAC Museum will attend the prestigious Getty Leadership Institute at Claremont Graduate University 2016 Executive Education Program for Museum Leaders this summer. Milliken is one of 36 museum leaders from around the globe chosen to participate in this six-week intensive development program. The Community Foundation of Louisville through the Alden Fellowship will support Milliken’s tuition to the program. The program aims at helping experienced art museum executives become better leaders and to strengthen their institutions’ capabilities. This intensive management program is for executives who influence policy, effect change, and are in the first two to seven years of their position. In 2011, Milliken moved from Stockholm, Sweden where he was a gallery owner and director to become the executive director and chief curator of KMAC Museum. Now after Milliken’s nearly 5 years at the helm of KMAC, the museum has seen vast growth in programming and community engagement including a major renovation and capital campaign to increase programs and educational outreach. In 2015, Milliken and the KMAC board formalized a new mission, “KMAC: Art is the Big Idea and Craft is the Process. The museum connects people to art and creative practice” – and successfully launched a capital campaign to support the complete renovation of KMAC’s historic 715 West Main Street location, as well as the museum’s endowment. A total of 3.3 million has been raised thus far. The renovated museum space will reopen on June 4, with a ribbon cutting ceremony at 10am. Program participants take six weeks of intensive courses that are designed to address current trends and challenges in the museum field. The program blends two weeks online and two weeks of residency at CGU, and includes practicum sessions at Los Angeles area institutions. Academically rigorous, the program emphasizes leadership, strategy, organizational culture, and change management. What’s the best way to spend a week out of school? Is it sunbathing on a white sandy beach? What about watching hours of Neflix? Maybe it’s hours of tormenting a brother or sister? Well, KMAC thinks the best way to spend the week is creating wearable art with a locally recognized fashion designer. During the week of April 4th-8th, Frances Lewis, founder and lead designer of Ann De Evelyn, will work with campers (grades 4-8) at KMAC Camp Couture 2016. KMAC Camp Couture is a weeklong opportunity to learn how to create like a KMAC Couture Designer. KMAC Couture: Art Walks the Runway is a Louisville favorite event where local artists and designers create wearable art from the most unlikely materials. Guests of this elaborate and unique fashion show have watched models dressed in high fashions made from dried fruit, broken dishes, birthday cards, and even garbage. Frances Lewis is a three year veteran of KMAC Couture. Her dress made of hair extensions is featured on the KMAC Couture 2016 poster. Day 1: Create A Fashion House with Your Partner. You will come up with a logo, signature design style, & mood boards. 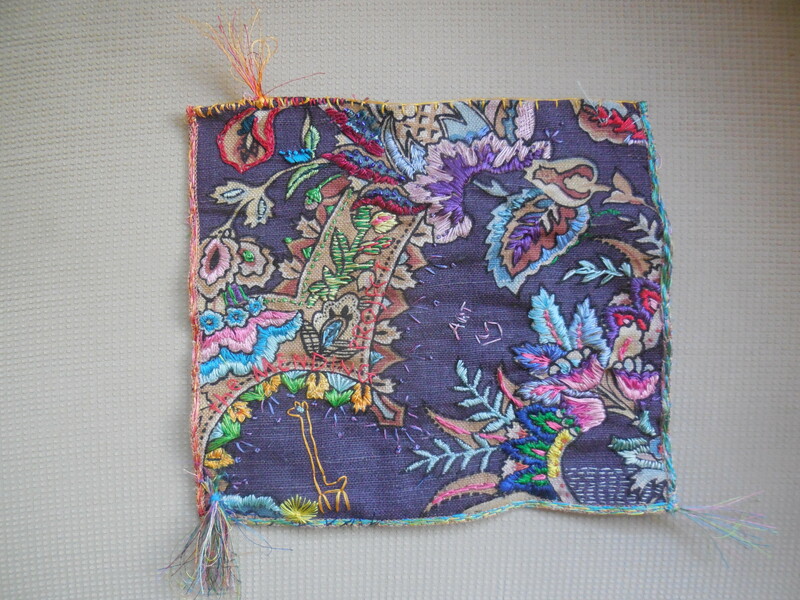 Day 2: Learn Stitching Basics by Hand and Machine. Use your stitches to design a custom bag with hand appliquéd screenprinted motifs. Day 3: Meet Your Model and Follow a Pattern. You will create the perfect model using a mannequin that will wear a circle skirt or shorts that you sew. Day 4: Make It Couture. KMAC Couture means adding the unthinkable to your skirt and mannequin to make it completely artsy. Day 5: Take it Over the Top. Use the skills you learned to create textile jewelry that will rocket your look to the extreme. Each camper will go home at the end of the week with items they created as individuals and a team. In addition, they will have the opportunity to share ideas, stories, and challenges with other young people who are wild about fashion. KMAC Camp Couture 2016 is sure to be an unforgettable experience where campers enjoy the ultimate combination of fashion and art. Online registration is open but there is space for only 18 campers. I hope to meet you at KMAC Camp Couture 2016. For more information, or to register, click here. With questions or concerns, email Assistant Director of Education Sarah McCartt-Jackson at sarah@kmacmuseum.org. In many countries, the winter months celebrate light. Diwali, the Hindu festival of light, celebrates the victory of light over darkness and hope over despair. The candlelight of the Jewish menorah reminds believers during Hanukkah of God’s ability to provide in periods of lack. The ancient Germanic and Nordic people marked the winter solstice, the shortest day of the year, with the Yule festival. A Yule log was lit to mark the rebirth of the sun and the life it provided. This practice was adopted by Christians to celebrate the birth of the Jesus. In all of these celebrations, light reflects hope. Visual art often reflects what is most important to people. At KMAC’s Winter Family Fun Day, we invite families to light up the season with art. The winter holidays are a wonderful time to laugh, create, and share. Family art making is a great way to do all three. But it is also a practical way to practice creative decision-making, problem solving, and cooperation. Designing a pattern, selecting colors, and sharing work are all necessary steps for creating a work of art your family will always remember. This is also a season of reflection. There are many individuals who spend the holiday season without family. For them, making art is one activity that can bring joy. KMAC wants to provide the joy of art to young people at YMCA SafePlace Services. We are asking every family who attends KMAC Winter Family Fun Day to bring at least one new art supply to be donated to SafePlace. Imagine the sparkles of joy that can be created with new sketch books, drawing pencils, colored pencils, markers, paints, and brushes. We hope you will spend part of this holiday season with KMAC lighting up the season with art. Winter Family Fun Day will be held on December 5 from 11am-4pm in the KMAC satellite space and pop-up shop, 611 West Main Street. RSVP on Facebook here! 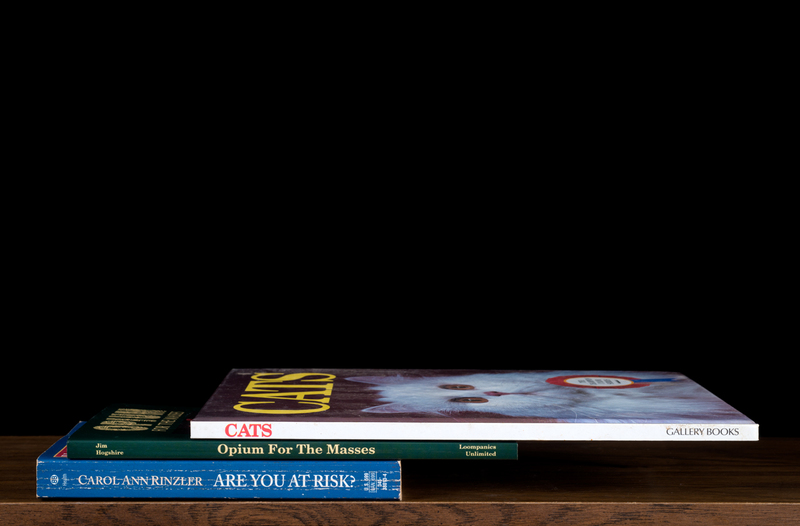 On September 19, 2015 the museum opened a special KMAC In The Community exhibition featuring Nina Katchadourian’s Kansas Cut-Up from her ongoing “Sorted Books” project. 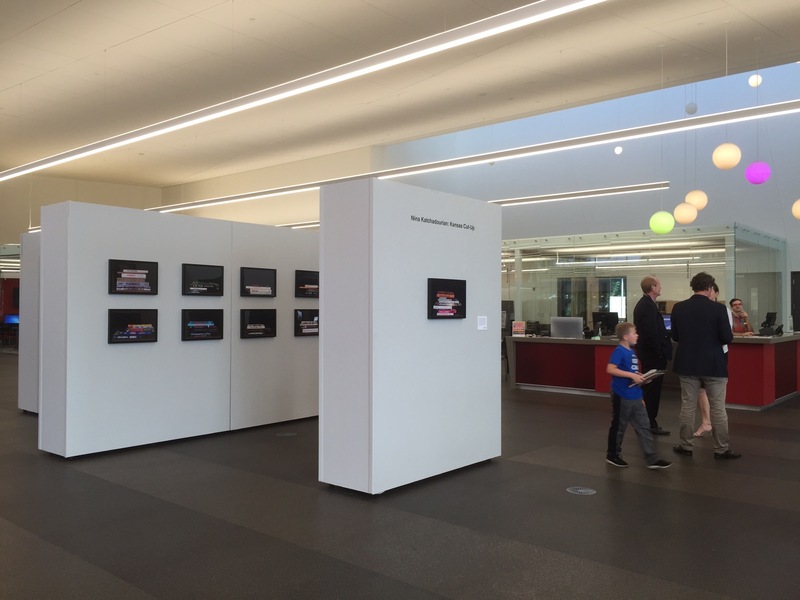 The exhibition is located in the newly designed 40,000 square foot award-winning Southwest Regional Library building that directly serves the Shively, Pleasure Ridge Park and Valley Station areas. It is the first of three new similar libraries to be constructed in underserved neighborhoods. KMAC initially established plans to present one of Katchadourian’s photo based projects to run concurrent with the 2015 Louisville Photo Biennial. When the idea arose to collaborate with the Louisville Free Public Library, using their beautiful new space, it provided an ideal fit for her “Sorted Books” series. It also supplied KMAC with an opportunity to create a public art exhibition featuring an internationally acclaimed contemporary artist who would typically never show in that area of town. Kansas Cut-Up is the newest installment of Katchadourian’s “Sorted Books” series, which began over 20 years ago while she was pursuing her MFA at the University of California, San Diego. It was during this time that she began to hone her skills at creating art that focuses on the everyday and the close observation of the finer details of everyday objects and daily activity. Her work is made in common and sometimes unlikely spaces, such as libraries and commercial airplanes. 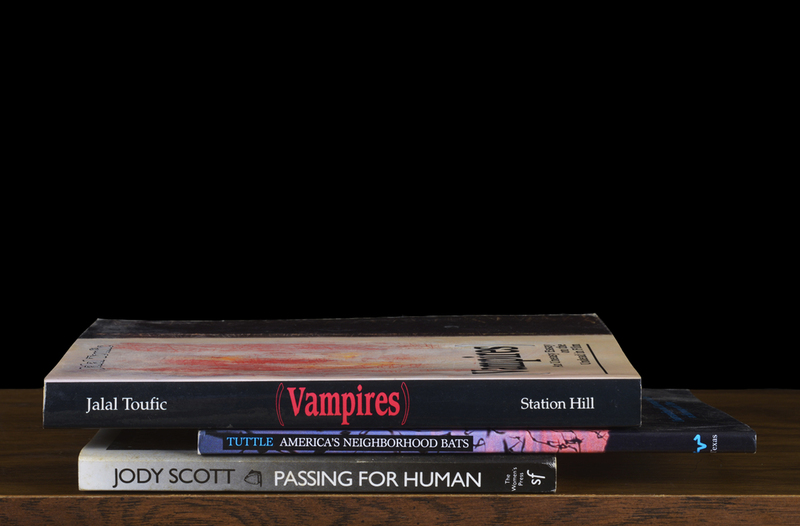 For her “Sorted Books” projects Katchadourian works in a particular book collection, culling books from a vast range of subjects and juxtaposing them sequentially so that their spines read like a short story, visual poem, or proverbial statement. This reveals the cross-sections of subjects contained in a specific book collection and also Katchadourian’s own commentary on these subjects inflected by her unique sense of humor. Katchadourian subverts the normal function of the book by recasting them as objects to be arranged—not in alphabetical order by author, title or subject, but according to their proper place in the artist’s own narrative clusters. The clusters created by the artist behave not just as portraits of the library from which the books originate, but also as a portrait of the library’s owner. That person’s sensibilities, preferences, fixations, inclinations and fascinations are contained within the specific titles. 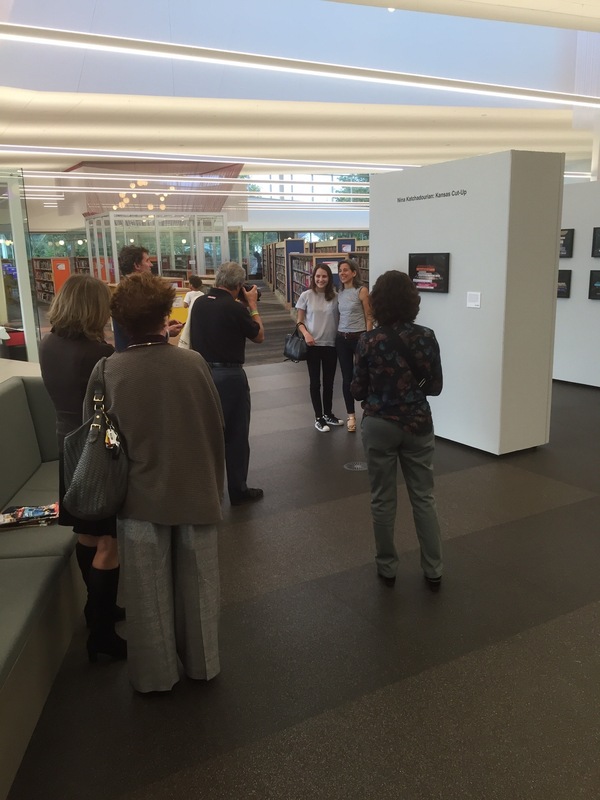 In the case of the 23 photographs on view at the southwest branch of the Louisville Free Public Library, all the books were culled from the personal library of the American writer William S. Burroughs. Katchadourian’s title for the series, Kansas Cut-Up, refers to Lawrence, Kansas, where Burroughs spent the last sixteen years of his life, as well as to the literary cut-up technique that Burroughs popularized in the 1960s. His approach to creating abstract narratives consisted of cutting up the linear text from newspapers, books and writings from himself and his friends and resequencing the material into new and often non-linear texts. Burroughs was inspired by the work of the experimental multi-media artist Brion Gysin, who had himself rediscovered the potency of such collage techniques from the Dadaists, a group of European avant-garde artists and poets from the 1920’s who originated the use of appropriation techniques in art, music, and literature. As she manipulates the inherent features and characteristics of the book form, Katchadourian reveals her own personal literary collage practice, as well as providing insight into the interests and literary attractions of the complicated and compelling character of William S. Burroughs. On October 1, 2015 Katchadourian gave a public talk at the Southwest Regional Library about the history of the “Sorted Books” series and provided further details on how the Burroughs project was conceived and implemented. After spending close to a week going through about fifty boxes of books, and a handful of bookshelves, she created 26 book clusters. 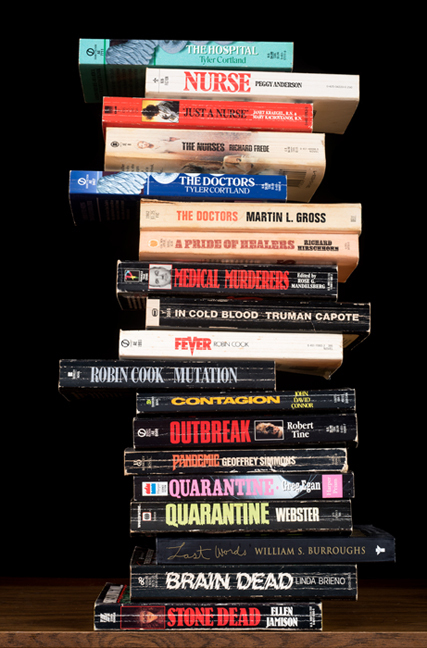 Among the curiosities that occupied Burroughs, titles related to guns, medical thrillers, animals, and wildlife pervaded the collection. His obsession with cats was evident by the particularly large number of books he had on the subject. 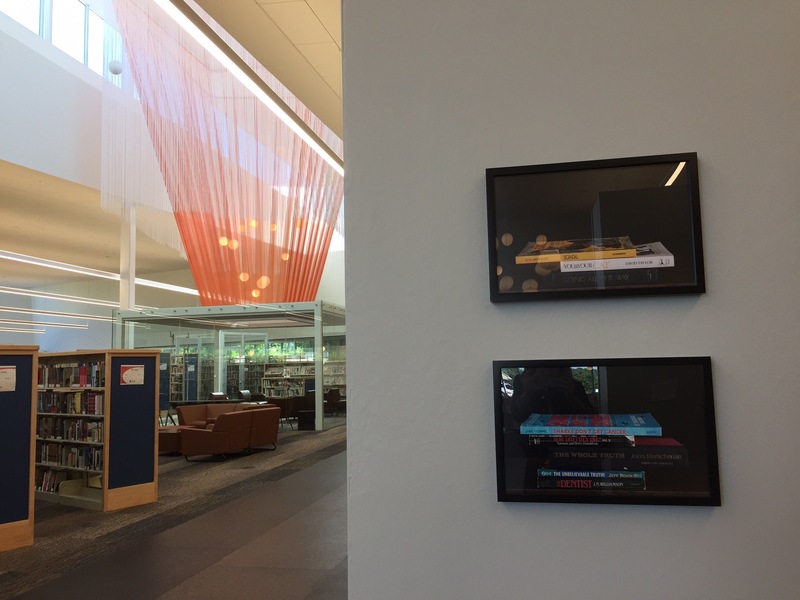 Nina Katchadourian: Kansas Cut-Up is on view at the Southwest Regional Library until November 8, located at 9725 Dixie Highway.